War looms on the horizon as eleven-year-old Nickie and her aunt travel to the small town of Yonwood, North Carolina. There, one of the town’s respected citizens has had a terrible vision of fire and destruction. As the people of Yonwood scramble to make sense of the woman’s mysterious utterances, Nickie explores the oddities she finds around town, while keeping an eye out for ways to help the world. Is this vision her chance? Or is it already too late to avoid a devastating war? I’m most definitely not the target age group for this book, but I do remember reading it when I was. Even then, Jeanne DuPrau’s message of religion gone crazy was way too preachy for me and I kept wondering throughout the entire book what Nickie’s story had to do with Ember. I mean, other than vague mentions of war and her father’s mysterious project. It’s only in the epilogue that we learn Nickie was one of the first generation of Emberites, which was really disappointing to me back then. 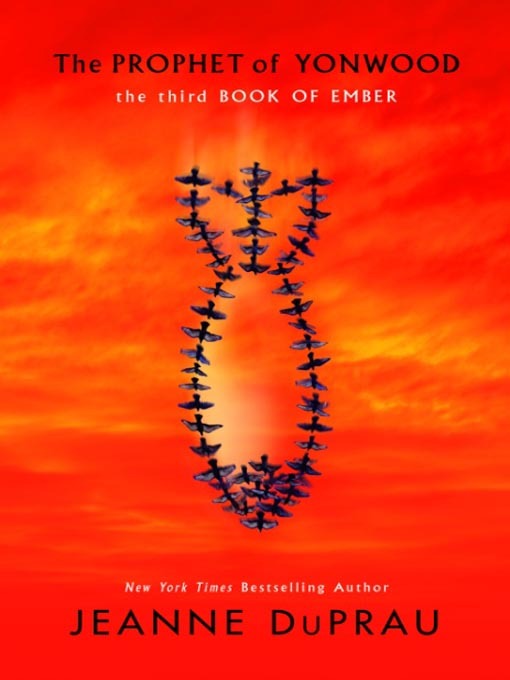 I wanted to know more about the war, how and why Ember was built and what it was like for the first people who occupied Ember. In the end, I was sorely disappointed. With that said, The Prophet of Yonwood does have a good, if ridiculously obvious, message. I won’t spoil things by going too much in depth, but let’s just say that the road to Hell is paved with good intentions. Nickie discovers this the hard way and her new ‘friend’ (if you can call him that) pays for it dearly. My overall impression of the book, both then and now, was ‘meh’. The ending felt way too easy for me and Nickie wasn’t really all that likable anyway. Some kids may enjoy Jeanne DuPrau’s classic Ember series, but I feel that now there are way better pre- and post-apocalyptic books out there. Jeanne DuPrau helped create a genre and in the end that genre moved on. I give this book 2.5/5 stars.